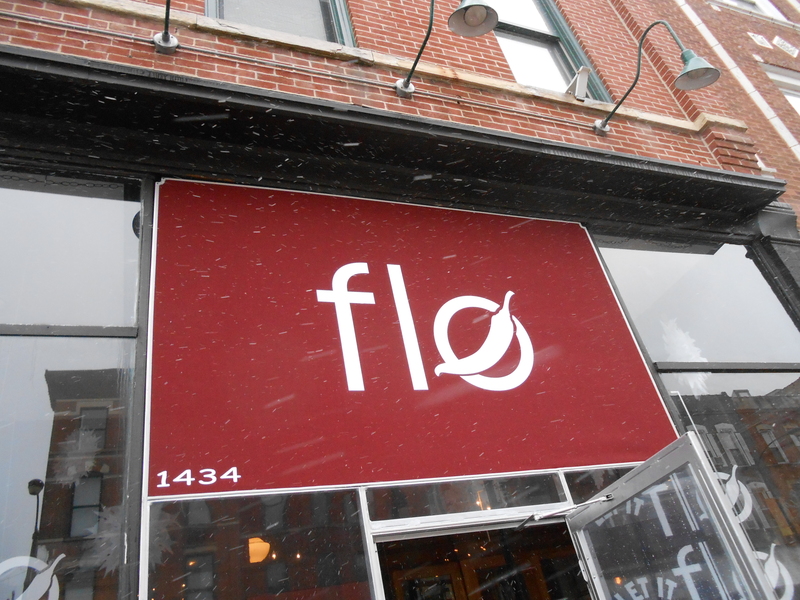 Flo is a New Mexican restaurant located at 1434 West Chicago Avenue. I went with a friend for brunch. I always forget how nightmarish brunch can be in Chicago. Probably because I love brunch. With Flo you can put your name on a list but you should have your full party nearby, or else when they call your name and they’re not there your table is gone. There also isn’t a lot of space to wait to be seated. Pretty much no matter where I went I was in someone’s way, and there was a lot of waiting for other people to file through before I could go anywhere. This even happened around our table which was towards the back in a hallway like space during our meal. (We weren’t in the way, but there wasn’t space for people to walk past one another) It was somewhat cramped with dim lighting and loud. The food however was really good. 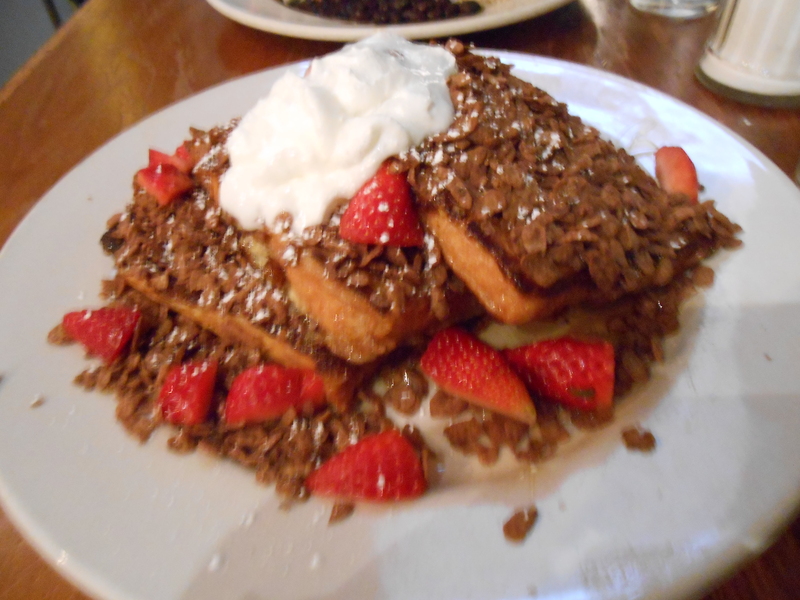 I ordered the cocoa pebbles french toast which came with strawberries and whipped cream. Despite the occasional loose cocoa pebble flying away it was really good, and surprisingly not as sickeningly sweet as I had feared. But I like cocoa pebbles. They also have a fruity pebbles version. 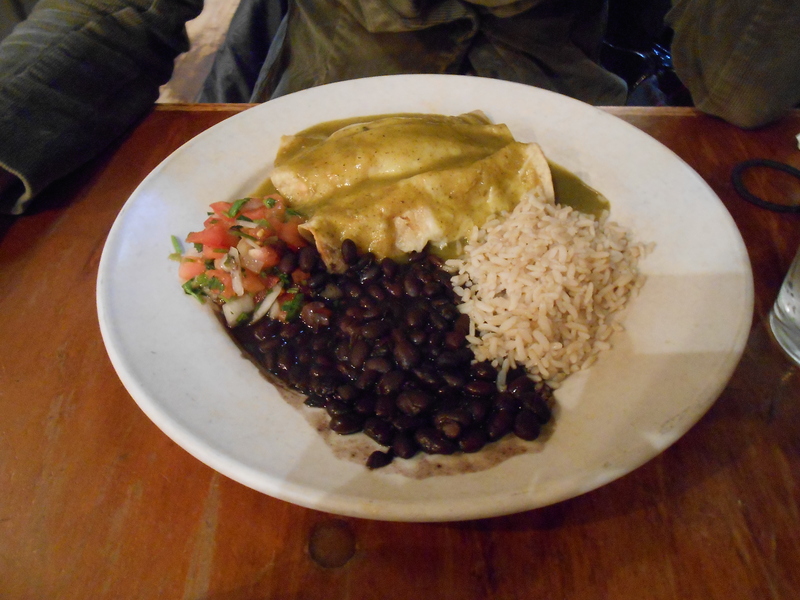 My friend ordered their chicken enchiladas in a verde sauce with black beans and rice. It was also good and not particularly spicy. I enjoyed the food a lot, I just suggest making sure your entire party is nearby and that you arrive before peak brunch times. Apparently they give out free coffee while you wait for your seat, but it was so busy and crowded that no one mentioned it to us.